The Jungle Crows Foundation (JCF) has played host to students and teachers from Auckland Grammar School three times over the last six years or so. See a post on their last visit to Kolkata here on KheloKhelo. 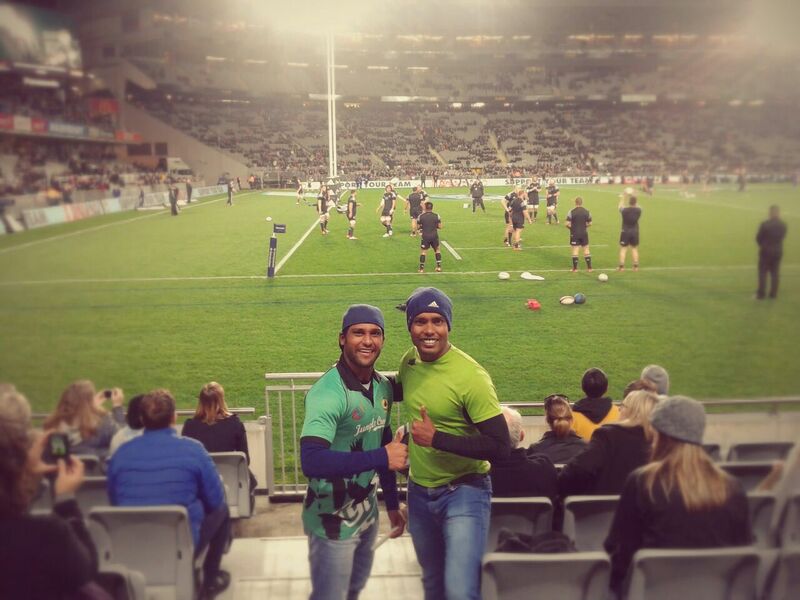 This year the tables were turned and two Jungle Crows got the chance of a lifetime to spend four weeks in Auckland. 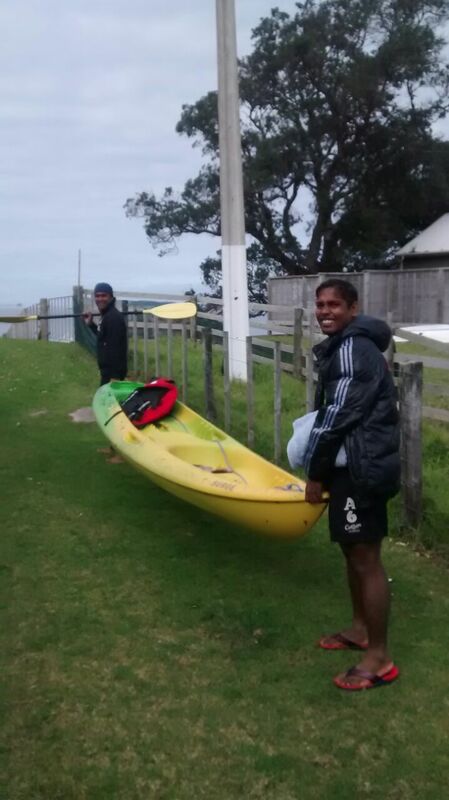 Khelo Rugby Community Coaches Nanda and Tiger tell their story. Nanda: I was very nervous to get on a flight; it was a new country and new people I did not know what to expect. I was happy I knew Ben Skeen our host from his past visits to Kolkata. I think I had packed half the clothes in Kolkata because everyone told me it’s so cold in New Zealand and for sure it was cold for me. I think the moment I stepped out of the plane and the cold air hit my face I took a step back in the plane, lucky Tiger was there to push me back into the ‘Ice Age’. Ben picked us up from the airport and we drove in his car. At times looking out of the window I thought what kind of land is this, I had never seen such a beautiful place full of green nature, it did remind me of the Kolkata Maidan in the rainy seasons where my club the Kolkata Jungle Crows practice. 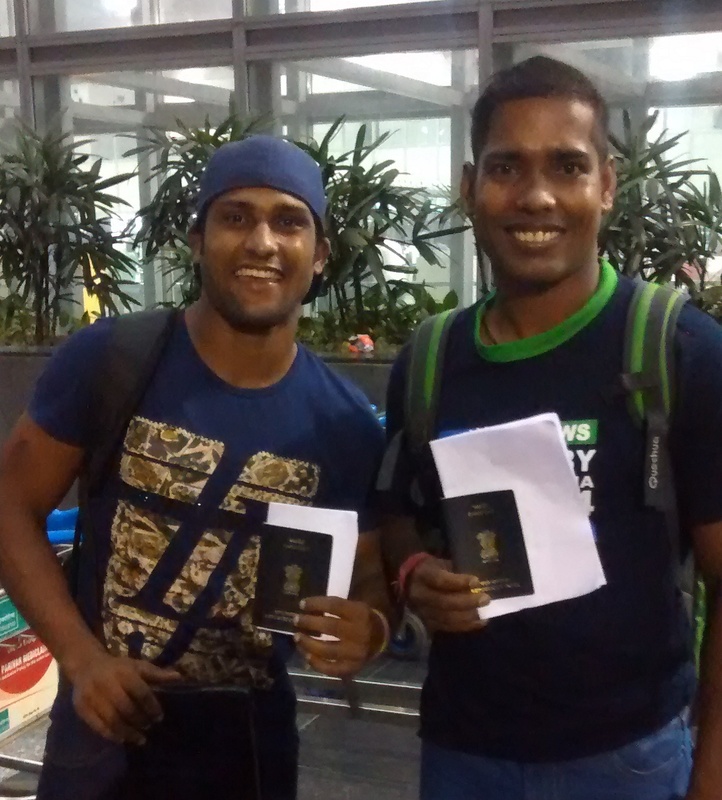 Tiger: We got on the flight from Kolkata and had our transit in Singapore where we met a Sri Lankan guy who told us that we should not take anything like food, plants or even dirt to New Zealand, not even the mud on our shoe soles. I remembered that years ago Virender Shewag from the Indian Cricket Team had been stopped at the Auckland Airport in New Zealand for dirty shoes. So you can imagine what me and Nanda ended up doing…yes we were in the Singapore airport toilet cleaning our shoes and the people around us thought that we have gone mad. We’re laughing now when we talk about it, but in that toilet ready to get on the plane we had a real panic. Nanda: I didn’t understand everything in New Zealand and one of the funniest things which happened with me was when I was at Ben’s home and tried to turn of the light in front of the Garage one day before going to bed. I think I pushed every switch in the house to turn the light off but it would not turn off. And every time I moved away from the light after some time it would turn off by itself but then as I moved closer to it, it would automatically turn on. This carried on for a good ten minutes until I realized it must be some sort of motion sensing system and unable to defeat it, and a bit confused I went to bed. Tiger: We spent most of our time at the incredible Auckland Grammar School. We were just amazed by the schools educational facilities and even more by the sporting facilities. In total twenty eight sports are being played in the school and the children had the full right to choose any sport they want to play. Mr Tim O’Connor the school Principal was such a down to earth guy….one day we saw him picking up the garbage left over by the children. It showed that everyone was equal and what mattered was the school and not the position. Nanda: We were so lucky to be spending time with the boys who had travelled to Kolkata and their families, they were so kind to us. We had such a good time with each family and they really took care of us. I would really like to visit them again one day, it will be nice. I loved how all places in New Zealand are like small villages it reminded me of my village. My village has only four thousand people in it and the funny thing is I am the only one who has a passport. When I got back I showed them the pictures of Auckland and they were so curious. Tiger: One of the biggest reasons I am in love with New Zealand and would like to visit again if I get the opportunity is how people look at sport and specially Rugby. I have been lucky to also visit England but it was different in New Zealand it felt like Rugby was not only a sport it was a part of life. I hope one day we get to make it something like this in my city of Kolkata. Nanda: We moved to live with different families every 4-5 days and our stays with all the families will be one of the most memorable parts of our trip. We had such a wonderful time and every family and its members made us feel at home and took really good care of us. We visited so many places with them and got to do so many different things like going for fishing, getting to drive a boat, going to the All Black vs Australia match, meeting Tana Umanga – “VERY SPECIAL”, skiing in snow planet, going up Sky Tower, caves visit, playing football with the boys who had visited Kolkata and the list goes on. We will always remember them and keep these wonderful memories in our heart. Nanda and Tiger: Our experience has been such a positive one. We have learnt so much which we will use in our work with the Khelo Rugby children and share with the people we work with and we know they will pick up so much positive from it. We have so many new ideas for our Crows Academy and our Khelo Rugby children. Just how everything is managed in Auckland Grammar, all the sports and academics working together is really special to see. And how all the boys and teachers get on and respect each other is very different to here in India and we liked this friendly but respectful attitude everyone has. 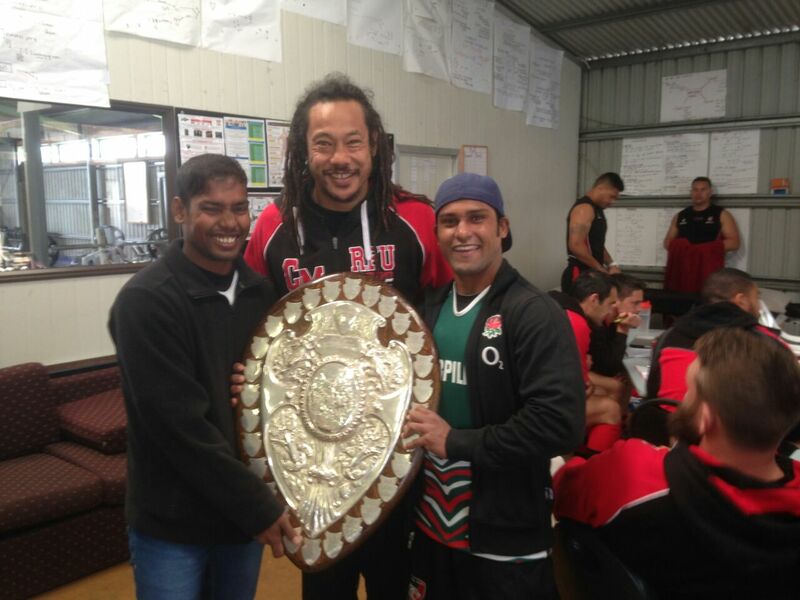 We would again like to thank Auckland Grammar School, its staff and children for welcoming us. We would also like to thank the families for letting us experience a bit of Kiwi family life which is great, the boys were just fantastic and last but not the least from all the Jungle Crows family here in India a really special thanks to Ben Skeen for all the hard work and support he put in to making the trip happen. We will be waiting with open arms for the next group of boys and teachers to come visit our City of Joy Kolkata. Both Nanda and Tiger come from difficult backgrounds, Tiger left school when he was ten years old because of a fight in school. He started to work and abandoned his home for one and half years, his relationship especially with his Father was always a bitter one. On the other hand Nanda had a stable upbringing but the financial condition of his family meant he would not have much opportunity to play any sport or let alone travel to a country like New Zealand. He left school at the age of twelve to work as a paper box maker to pack biscuits. 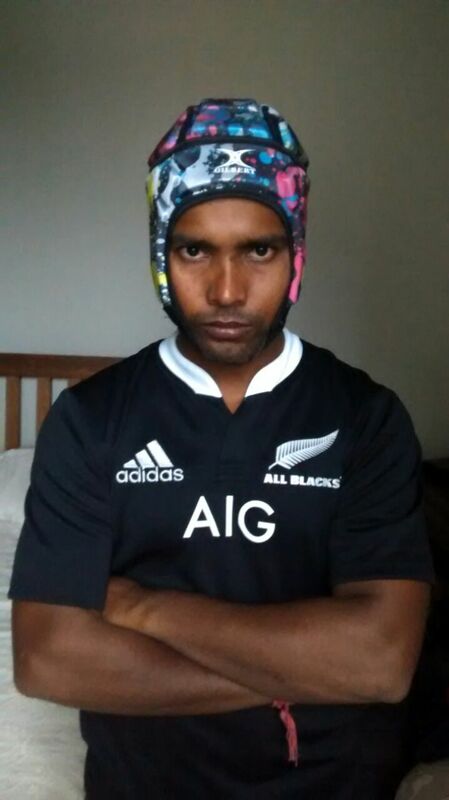 After joining the crows and getting jobs as part of the Foundation’s Khelo Rugby programme they both now have their families respecting them for who they are and have become respected within their communities. Both Nanda and Tiger have played 7’s Rugby for India. Both are also now looking to work out how they get back into education.